PERCY OBLINGTON, known in the Calypso arena as “The Mighty Striker”, died on Saturday at the age of 81, after reportedly suffering with prostate cancer. He was at the time singing with the Kaiso Karavan tent. The Mighty Striker, one of the longest surviving calypsonians, died on Saturday after being ill for some time. 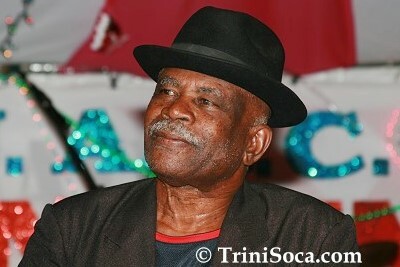 An active, longstanding member of the Trinbago Unified Calypsonians Organisation (TUCO) East Zone, Striker won the Calypso King Competition, now the National Calypso Monarch competition, back to back in 1958 and 1959. The funeral service for Striker will be held at 3.30 pm at Belgrove’s, Orange Grove Road, Tacarigua. He will be cremated at 5 pm. On Wednesday last, in a packed chapel at Belgroves’ Trincity funeral facility, relatives, friends, and members of the calypso fraternity, gathered to cheerfully give The Mighty Striker a warm and rousing send off. That was nine days ago. Tonight I am here browsing this site which I discovered twenty four hours ago, and feel utter respect, admiration, and thankfulness for this community effort initiated by Kurt Allen and Chalkie (Dr. Hollis Liverpool) and so valiantly supported by every calypsonian who turned up to demonstrate camaraderie with, and honor for, Striker. Truly you made him feel like a rich man giving him the priceless gift of your caring demonstrated by the time you took to be in his company. When minds come together for relief of another, all are better off. No wonder there was no long face among you at the funeral. You had been giving him bouquets long before his final curtain call. I privately marvelled at the sense of community I felt in the Belgroves’ chapel as we said farewell to Striker (Percival Oblington), a friend, and family member. Now I understand.